It is our goal to provide you with the information and tools needed to enroll in the Plan, review your benefit package, access healthcare, review claims and check your eligibility for benefits. The Benefit Fund is dedicated to providing quality service to Plan Participants of UFCW Local Unions 655, 881, 534 and 700. Through this site you will be able to enroll in the Plan, find a medical plan provider, find a dental provider, review your benefits, review claims and check your eligibility. Provider directories are listed on the links page. You can also get there by clicking here. Below is the Plan's Summary Annual Report for the fiscal year ending August 31, 2017. It's important that we take care of ourselves, our families, and each other by eating right, getting exercise, and taking the preventive measures necessary to stay healthy. 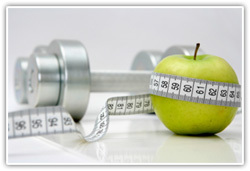 Please read the monthly newsletters below for helpful hints to stay healthy. Health and Welfare Benefits have been revised for 2017. Click here for details. Preventive Care Services, as recommended with an A or B rating by the United States Preventive Services Task Force, are covered at 100% with no co-payment or deductible for eligible Plan Participants and their eligible family members. Click here to identify preventive services with an A or B rating.